As the daily electricity demand increases with rising temperatures, the Ceylon Electricity Board (CEB) is struggling to meet demand as the Government continues to delay commissioning Independent Power Producers (IPP) and emergency power procurement. In a report presented to the board last week titled ‘Urgent Note to Board’, the CEB appraised the members of the situation noting that “it may be required to impose load shedding during the daytime as well as in the night time to maintain the system [sic]”. Presented to the Board on 6 March, it notes that the water levels reservoirs are below average and will reach minimum operating levels in the coming weeks warning of possible load shedding, a situation which could have been avoided if the approvals were granted to procure 100MW of supplementary power and commission the two IPPs, Ace power Matara and Asia Power Sapugaskanda. The Ministry admitted to the challenge faced in catering to the demand and has already put out a request for consumers to limit usage in a bid to minimise consumption. However, the CEB recorded its highest demand value last week at 47.4 GwH. “The situation has become adverse become adverse because of the dry weather, where the day demand continues to rise. It is comparatively higher than the average. The highest was recorded last week,” Power, Energy and Business Development Director (Development) Sulakshana Jayawardena told Daily FT.
A load shedding scheduled for yesterday was cancelled following a request by the Examinations Department to not carry out the power cut as planned due to a scheduled online examination, Daily FT learned. The load shedding was to compensate for critical maintenance work needed to be carried out in a combined cycle plant which adds 165MW to the Grid. The CEB instead generated electricity from Rantambe, Victoria and Randenigala reservoirs which are reserved for irrigation, sources confirmed. With average water levels of reservoirs at 39%, the Ministry is now trying to explore alternate options to manage the current situation. At present, Castlereigh and Maussakelle are respectively at 14% and 30% of storage capacity, Daily FT learns. As the two reservoirs Castlereigh and Maussakelle are expected to reach their minimum operating level in in mid-March and mid-April respectively if current inflow of 0.15MCM continues, there will be restrictions in generation capacity to avoid excessive drawdown. This step, the CEB noted in its note to the Board, was needed to ensure that water storage necessary for supply drinking water for Colombo and suburbs is maintained. At present all thermal power plants, including high cost gas turbines are being operated to meet the demand, where about 1750MW to 1800MW is added to the grid. The gas turbines which are usually operated during peak hours to meet demand are now being operated for close to 18 hours, sources noted. All these plants are also being run without maintenance being carried out. However, this is heightening the risk of power outages due to machine breakdown. “The CEB is running all plants without maintenance halts and this is increasing the risk of breakdown incidents, if there is a breakdown we cannot replace the power outage with hydro-electricity. If there was any breakdown in the Norochcholai power plant, we will be forced to go for a load shedding,” CEB Engineers’ Union President Saumya Kumarawadu told Daily FT. Predicting a Rs. 85 billion loss this year due to operating high cost plants, Kumarawadu emphasised on the need to focus on implementing the long term generation plans. Kumarawadu also alleged that the ministry is not calling tenders for four 24MW heavy oil plants that have been included in the long term generation plan given by the CEB. The bids for the plants should have been called by now he said. “We have continued to highlight this issue but no one has listened,” he said. The Ministry is still evaluating all options available for them to meet the gap in supply, Jayawardena said. “We are still negotiating with the IPPS to commission them, there are two plants available. We are assessing all available options. The self-generation scheme is one option, we have to discuss with all institutions which have generators to engage in this. And we have 50 generators of 1MW, out of which 10 have already been set up,” he said. However, no test run has been carried out after connecting to the grid yet, he accepted. 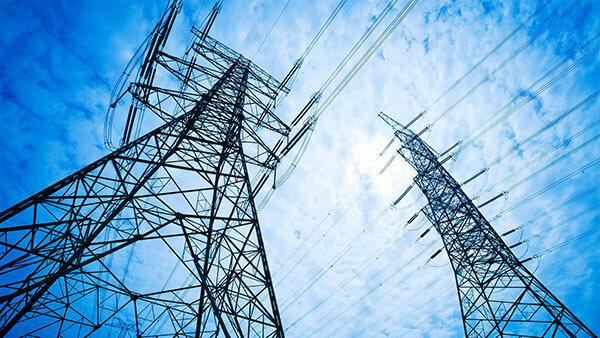 In the report submitted to the Board, the CEB has noted that the situation could have been avoided if the approvals were granted to procure 100MW of supplementary power and commission the two IPPs, Ace power Matara and Asia Power Sapugaskanda. The Government has not commissioned a single new power plant in the long term generation plan for over five years, which has brought the situation to the current crisis level, Kumarawadu noted.